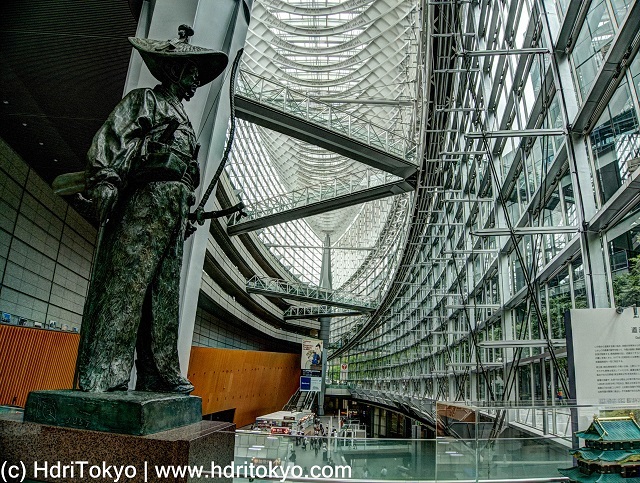 A statue of Samurai wearing a Japanese woven hat and having a bow in a modern high-tech style building. Ota Dokan (1432-1486) is a samurai in late Muromachi period, and he is well known as the builder of the Edo castle. Tokyo International Forum is a convention center located close to Tokyo and Yurakucho stations.